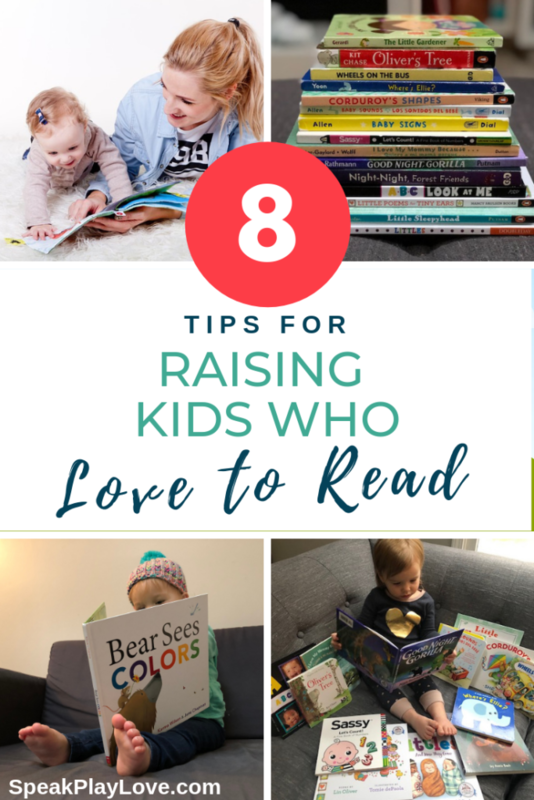 How to Raise a Reader - 8 Tips for Reading with Infants and Toddlers | Speak. Play. Love. And it worked! I was a complete bookworm all through school and still love to read. I’m sure you’ve heard this one before, but that is because it is so important! Not only does it create a bonding opportunity, but it is incredible for language development as well. It helps teach vocabulary, building sentences, and prosody (how the voice goes up and down in pitch as you talk). At almost two-years-old, my daughter is in the midst of wanting to hear the same book over and over and over. And that’s okay (from a learning perspective anyway – from a parent’s perspective I guess it depends on the book!). One way that young children learn is from repetition. BUT what if you have a resistant reader (aka resistant listener) from the start? The goal here is to build a love for books and reading. If your child wants to just look at the pictures and talk about them or play “find the. . .” That’s okay! If he gets restless during a certain page you can give a one-sentence synopsis and move on to a more exciting part. 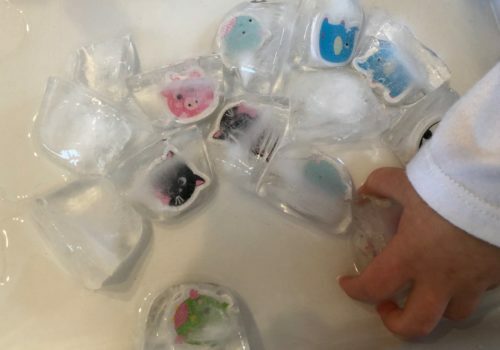 Some kids like the repeated line(s) in a book, so you can read that part word-for-word and shorten the other parts – the key is experimenting and doing what works for your child in that moment! 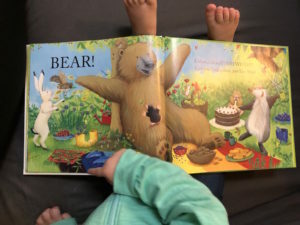 Sylvie LOVED to “help” turn the pages of books from a very young age, even if that meant me starting to turn the page of a board book and her just pushing it down the rest of the way. While it’s important to teach respect for books, it’s also nice to not have to constantly be worried about ripping pages! Using board books allows your child to have more contact with books from an earlier age. As I mentioned in #2, looking at pictures and talking about them might be all you do one day if that is what is interesting to your child. Even if she is interested in hearing the whole book, stop periodically and talk about what you see. 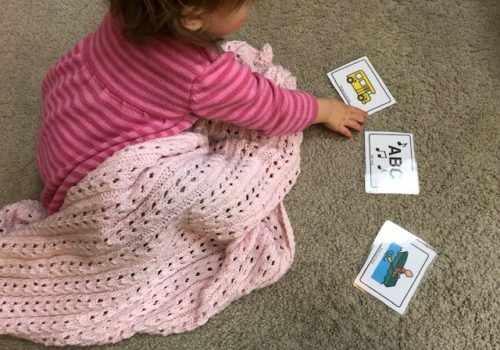 Learning to use extra information from pictures and context clues is an important skill for early literacy and for increasing language development. And don’t forget about non-fiction books with great photographs. Sylvie loves National Geographic kids’ books (primarily for the pictures). There’s something really special for kids about getting something in the mail! And if that something is a book or magazine, it makes reading all the more fun! When my daughter was about 12 months old, my mom told me that she ordered a subscription for Hello Magazine from Highlights. I remember Highlights Magazine as the one in the dentist’s office when I was a kid, and being more for elementary-aged kids. But I didn’t realize that now they make another magazine called “Hello” just for 0-2 year-olds. The pages are made out that plastic-y material I was taking about above. And they are a compact size, making them perfect to throw in your diaper bag. My daughter’s favorite part is the “find it” pages, which are made really easy for babies! Now that she is almost 2, we decided to go up to the High Five magazine, which is for 2-6 year olds. You can subscribe to Hello! Magazine by clicking here. If you are look for the 2-6 year old magazine, High Five, click here. By having little stashes of books all around the house, you make any place a great place to read! We have them on shelves, in baskets, under the coffee table, etc. 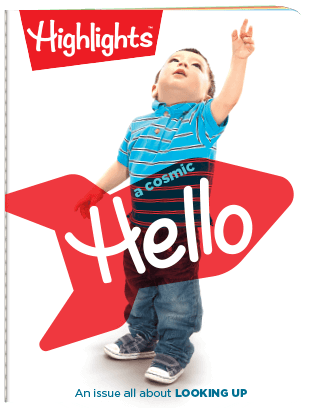 Get a toddler or baby-friendly magazine delivered monthly – we get “Hello!” from Highlights magazine. Learning to pick your own reading material is a skill that all life-long readers need to master – and it takes a lot of trial and error. 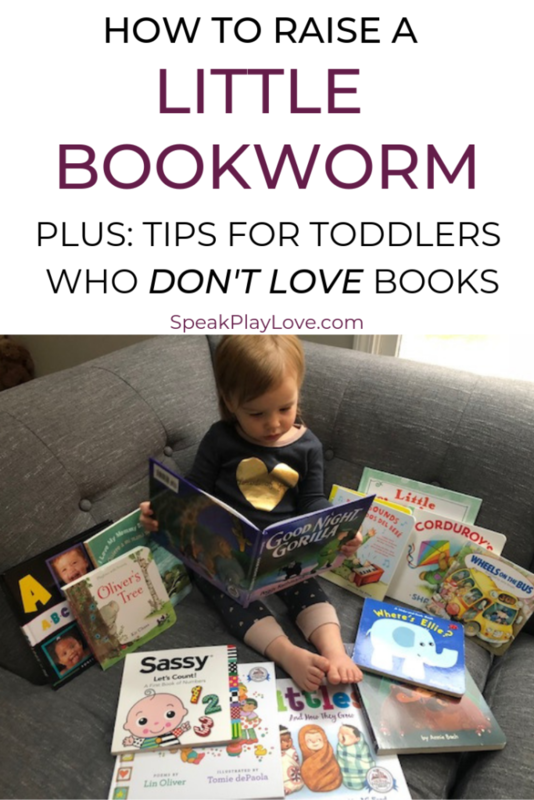 As the saying goes, “You can’t always judge a book by it’s cover” – but your toddler will sure try! So you should also make sure you pick a few books that you know he’ll like too. While it’s great to make reading a part of your everyday schedule, such as before bedtime every night. Sometimes you can do something a little extra special! 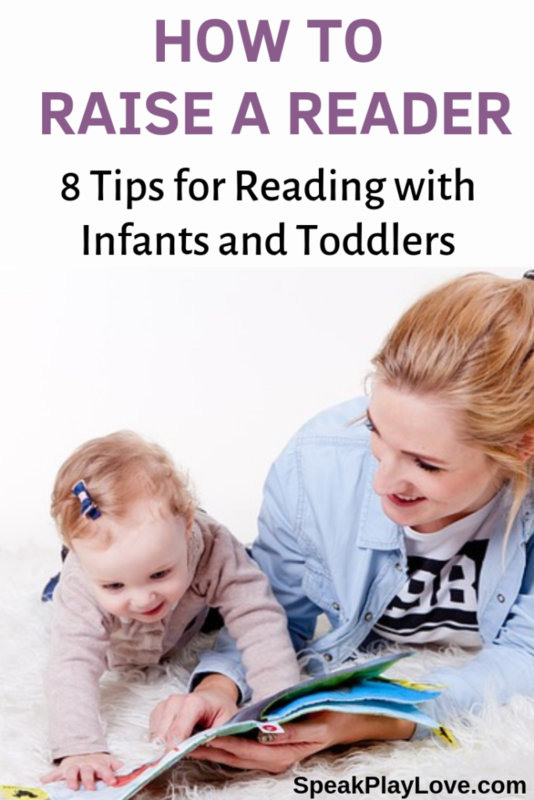 I love these tips about reading with baby, especially the Dolly Parton free book program. I’ve also joined the Dr. Seuss book club and Baby Einstein book club and got free books that way. Thanks Cathy! I will have to check out those programs – thanks for sharing more ways to find free books! Easter Basket Fillers for Toddlers that Promote Learning! | Speak. Play. Love. This is a fantastic post. I especially love the suggestions for building a family library.